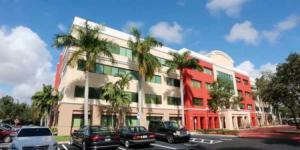 BOCA RATON, FLORIDA, UNITED STATES, October 24, 2018 /EINPresswire.com/ -- Finding and retaining a lawyer can be difficult and stressful in many circumstances, however, it is further magnified in those cases involving clients who suffered significant loss resulting from Ponzi Schemes. The Law Offices of Richard Lehman, Esq. is implementing new flexible payment plans to specifically assist those prospective clients with federal tax issues relating to Ponzi scheme loss and Federal Clawbacks. Mr. Lehman works in all areas of the Internal Revenue Code. His law practice focuses purely on federal income, estate and gift tax. 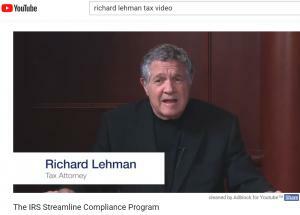 Mr. Lehman assists clients with various areas of tax planning and I.R.S. negotiations, including handling all matters of conflict with the I.R.S. Mr. Lehman also possesses extensive experience in representing international clients who are investing capital and/or immigrating to the United States. 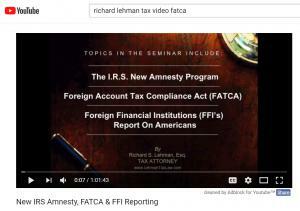 “In efforts to assist those individuals who have been victims of, as well as those who suffered major loss from Ponzi schemes, we have implemented flexible payment plans, such as individually tailored installment payments, flat-fee cases, retainers, and even success-based fee options are available under certain circumstances to these new tax clients” … said Federal Tax Attorney Richard Lehman. “That’s the driving force behind our new Flexible Payment Plans. As everyone’s legal case is different and requires an individually-tailored strategy, so does their financial situation and circumstances; and our new Payment Plans offer our clients exactly that.” The amount of the “flat-fee” and/or any hourly billing will vary depending on the case and client. However, the Law Offices of Richard Lehman aims to be competitive and just with their legal service pricing. “We here at our Tax Law Practice aim to provide fair and transparent billing. I fully understand that not all clients are going to be able to pay all fees up front, therefore flexible payment arrangements may be made.” These will vary depending upon what is agreed to by both Parties, whether it is a lump sum and then small payments after that or monthly/weekly arrangements. A Retainer Fee is a “lump sum” payment charged to commence legal services which retains the lawyer’s services and creates the underlying Attorney-Client relationship. Part of the philosophy of Mr. Lehman is that "the South Florida community has given so much to this office and its success, therefore, our goal is to give back ...,” Mr. Lehman went on to say. 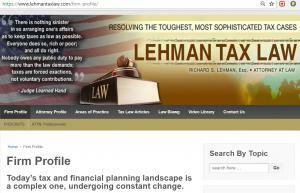 As to Initial Consultations, in most cases the Lehman Tax Law Office does not charge for the Initial Consultation (depending on the case type), however, in those cases where a Consultation Fee is charged, once retained, the Initial Consultation Fee is thereafter applied and fully credited to the Client’s Case Account. Richard Sam Lehman has established a sophisticated private law practice focusing on Tax Law. His background, education, and experience has distinguished him in this complex field. 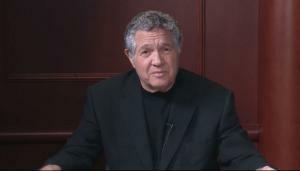 A published author and noted speaker, Mr. Lehman has carved a reputation as a powerful client advocate.